Home » Unlabelled » Bella NYC's Dine With Derek: Rock Your Hair, too! Bella NYC's Dine With Derek: Rock Your Hair, too! Last night's party with Derek Warburton and Bella NYC was absolutely fabulous and the team behind #DinewithDerek ever so supportive of both Derek and all of his guests. Derek is the Style Director at BELLA New York City Magazine (@bellanycmag) and the vibe was all about new looks/colors for Spring. I was welcomed with open arms and a wonderful signature drink called the Bellatini! One of the sponsors in the gift bag was none other than Rock Your Hair (@rock_your_hair ) and I had tried the Spray It Hard before and it had worked wonderfully for an event I had in very humid weather a few months ago. Yes, the weather that is referred to as "before the Polar Vortex." 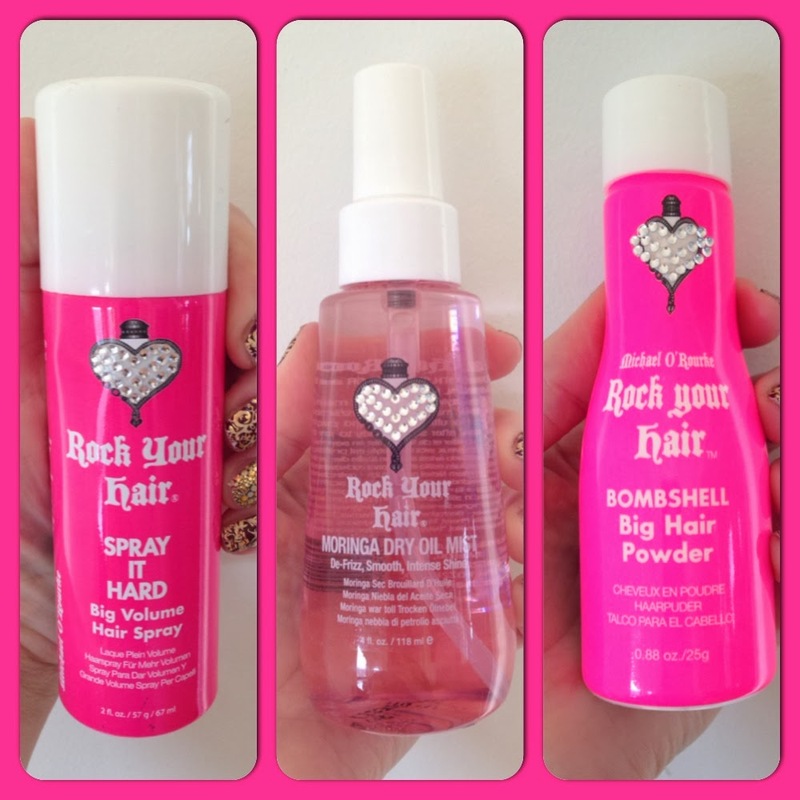 Rock Your Hair offers a wide variety of hair products and the ones mentioned below reminded me of Valentine's Day as you might just need these products to keep your hair rocking out through the evening...and then some?! This formula extends the life and volume of your blowout, while providing your hair with protection against styling tools and other outside elements. It seals in color, adds smoothness, and keeps your style lasting for days. This lightweight mist includes an oil native to Africa, which is Michael's home country. It can be used on all hair types to smooth, nourish, de-frizz and create shine without compromising your volume. Apply this product to towel dry hair and blow dry for added shine and boosted volume. This humidity resistant, color safe formula protects hair from heated tools and other damaging effects brought on by styling. This fast drying formula significantly boosts and locks in volume while keeping humidity out. Apply this while styling for lasting hold and thicker, fuller hair. The ever so handsome and HAUTE Derek Warburton himself.